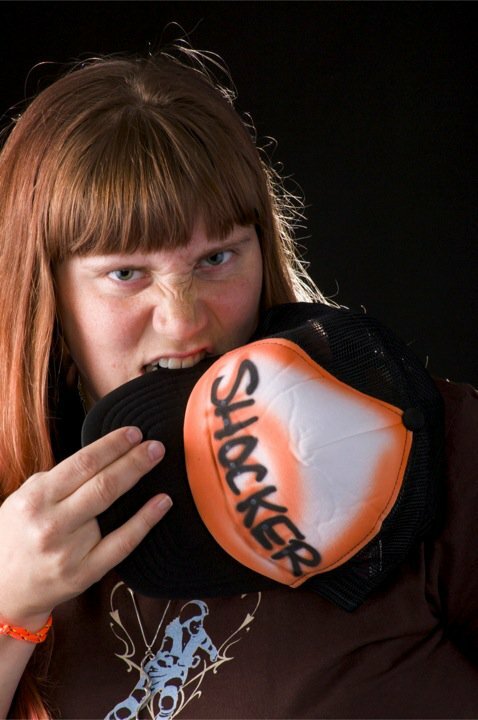 Rollin' News - World Wide Roller Derby News | Shocker Khan - Enough Sausage Already! Remember the days when blockers put forth effort to actively get opposing blockers out of the way so the jammer could make it through the pack? 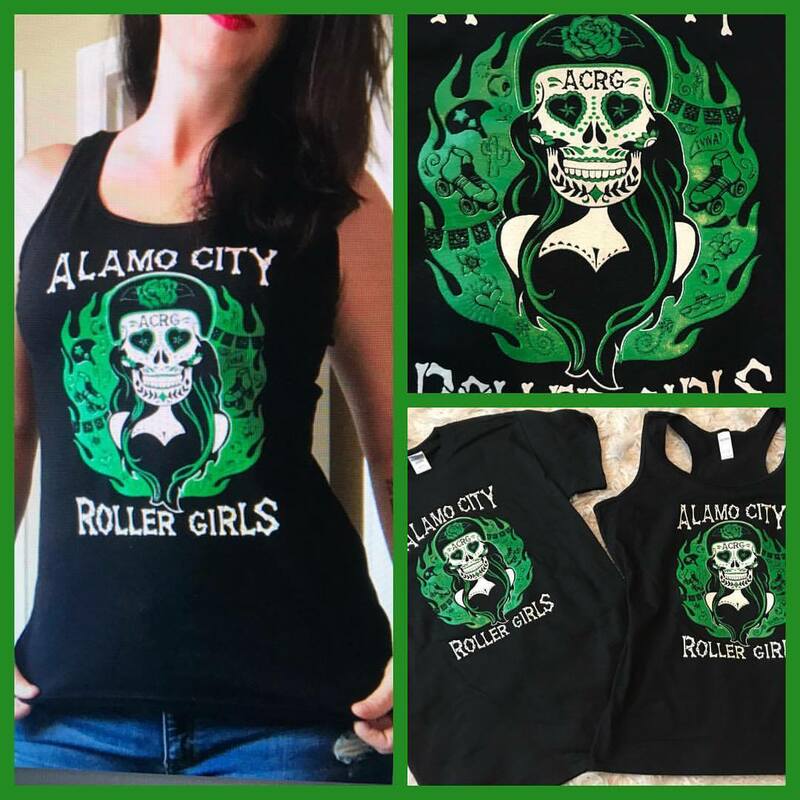 I know this may be a foreign concept to some of you newer skaters, especially those in a league that latched onto the “Sausage” strategy after it was debuted by Gotham Girls Roller Derby a couple Championships ago. If you don't know what I'm talking about, the Sausage, also known as passive offense, is an offensive strategy where blockers skate on the outside of the track in a single file line in order to force opposing blockers out-of-play. This isn't the first time someone has griped about this strategy; however, the articles I've read have focused on fan perspective – the Sausage is horribly boring to watch – yet I believe that is just a symptom and the real issue has yet to be addressed. Let's take a closer look at this controversial method used for offense and see if we find the true disease plaguing our community. B blockers want to speed up the pack so it takes longer for the opposing jammer to reach the pack. A blockers know B blockers will race and increase pack speed if A blockers try to sprint up to make holes, get a goat, swarm, or sweep to one side and will use this to their advantage. When jammer A is about a quarter track away from the pack (or a little less, depending on how fast she is skating), one or more of A blockers sprint as if they are coming to play offense for their jammer and B blockers sprint to stay ahead of the blocker(s) but still remain in play. When the pack is almost at turn 1 or 3, A blockers move to the outside of the track in a single file line while remaining in-play and at the newly established pack speed. As the pack travels around the turns, B blockers will be engaged with jammer A on the inside of the track while A blockers have further to travel around the outside of the track, causing the distance between the two groups of blockers to increase until there is no pack and B blockers have to release jammer A.
Blockers from both teams must reestablish the pack after “No Pack” is called. At this point, pack speed usually decreases until jammer A reaches the pack again and the whole thing repeats itself...A blockers sprint forward, B blockers run away, A blockers move to the outside of the track, B blockers become out of play, jammer A is released again. Sounds like a solid strategy, right? Well, it pains me to say this (I'll explain why soon), but it can be effective when implemented at the appropriate time. The perfect time for blockers to use the Sausage strategy is when 1) they are on a power jam, 2) the opposing blockers are ahead of them on the track, and 3) B blockers sprint when approached by A blockers. If any of these elements are missing, the Sausage is not going to be effective and other offensive strategies need to be implemented. As described above, there is a specific time when Sausaging is effective, yet many teams either don't understand the strategy well enough to implement it at the appropriate time, or don't know/aren't well versed in other offensive strategies. Because of this, blockers now often slowly drift to the outside edge of the track when their jammer needs to get out of the pack. They do this even when the pack speed is very slow, opposing blockers don't speed up when approached, and the pack is not entering a turn, so instead of the opposing blockers quickly becoming out-of-play and being forced to release the jammer, she gets pummeled by opposing blockers. Sometimes the jammer is even dragged backward on the track after being hit out of bounds, all the while her “friendly” blockers are single-file on the outside of the track...playing “offense.” Well, to tell the truth, they are definitely doing something, ahem, offensive. Geting a Goat: Hit an opposing blocker of bounds, bridge clockwise on the track as far as possible, and when that opposing blocker reenters the track all fellow blockers skate clockwise on the track to create the pack close to the goat, causing the other opposing blockers to be out-of-play. When the new pack gets close to the other opposing blockers, hit the Goat out of bounds and bridge clockwise to once again create a pack where the Goat reenters the track. (Wo)Man on (Wo)Man: As the jammer approaches, each blocker hits an opposing blocker so they fall or skate out of bounds. Screening: Blockers maneuver so they will be between the opposing blockers and the jammer. The opposing blockers won't be able to get close to the jammer. This is especially effective if implemented before the opposing blockers are able to form walls. We spend countless hours sweating, falling, bruising, bleeding, and breaking, then embrace a strategy where we literally do nothing. In what other sport does that happen? As athletes, we should be offended by this strategy, I know I am. Let's stop doing nothing and urge our teammates to use effective strategies and start with the ones I listed here if you need help getting started. We can get rid of the Sausage, we just have to do...something. What I like about this post is that rather than just rant against the strategy because you don't like it, you make the effort to explain when the strategy would be effective. I like your argument.